Day Eleven (9/24/18): Cheers, Ireland! Hi-ya, Scotland! Now that the weekend had ended, it was time to decide what we would do with the remaining days of our vacation. In our pre-trip planning, Tim and I deliberately left our final few days open. However, before we could address our itinerary, there was the matter of purchasing a new tire for the rental car. The spare was serving us well, but we clearly couldn’t return the car in that condition. I would need to purchase a replacement. We located a place in town who not only changed the tire in about ten minutes, but didn’t try to browbeat us into purchasing an entire set. For all that, the cost was reasonable (I was afraid I would have to hand over my remaining vacation money). With that task completed, we next turned to planning the rest of our vacation. We decided that we would fly to Scotland for a few days, visiting Edinburgh, Inverness, and Loch Ness along the way. Over breakfast, we purchased plane tickets, arranged for Airbnb housing, and reserved a rental car. We had hours before we had to be at the Dublin airport, so we took the time to make the return trip to the Titanic Belfast Museum. The museum itself was incredible! The exhibits were state-of-the-art and interactive. 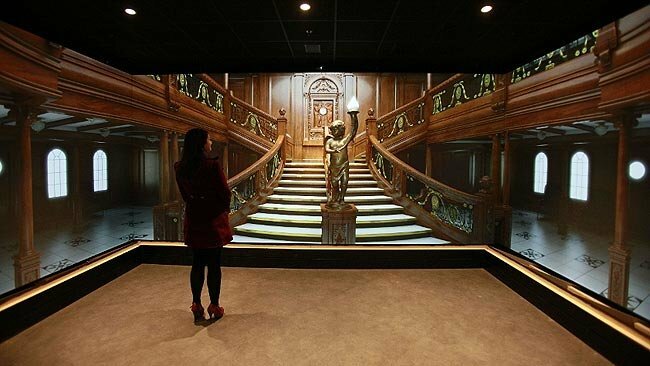 A portion of the vast museum was seen on a traveling cart that lowered and turned us through a recreation of the inner workings of the Titanic. It really gave you a good indication of just how vast the ship was! There was also an alcove where guests were surrounded on three sides by large screens. The digitally rendered film gave us the impression that we were on an elevator which started at the very bottom of the ship. After a slow 360-degree spin to see what each room looked like, we would be “lifted” to the ship’s next level, and so on until we reached the top. There were so many things to see and exhibits to linger at, that after two hours, we still hadn’t reached the end. However, our time was up, so with regret, we had to hurry past the remaining exhibits, hoping that some day soon, we could pay the museum another visit. While on the road to Dublin, I had time to consider the beauty of the Irish accent, and how it was ever-so slightly modifying our own. The strange thing I noticed was that Tim and I were responding differently to our linguistic immersion. Tim was incorporating slang terms and idioms better than I was. Without thinking about it, he would sprinkle his speech with such things as “Cheers!,” “Good on ya, mate,!” and “That’s grand!” among other things. For me, I was more self-conscious about using the lingo. However, a noticeable Irish accent had definitely started creeping into my voice. To say that I was developing a proper Irish accent would be a bit deceiving though. The Irish accent is as varied as you might find with English or American. 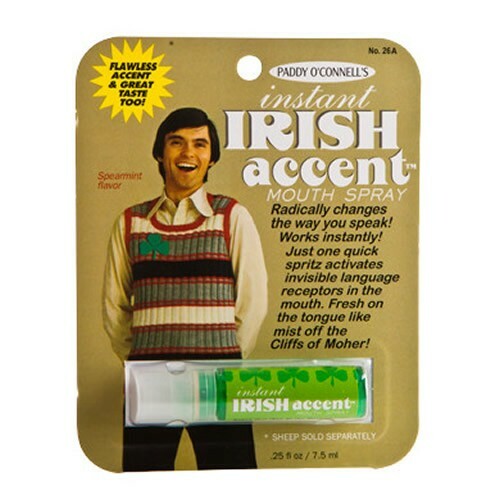 In short, my muddled form of an accent would never fool a true Irish person. Still, I was having fun with it! Upon our arrival at the Dublin airport, we stowed some of our luggage at the excess baggage claim, and hopped a flight on Ryanair, bound for Edinburgh. It was a short flight (about an hour), and considerably more comfortable than WOW Air. 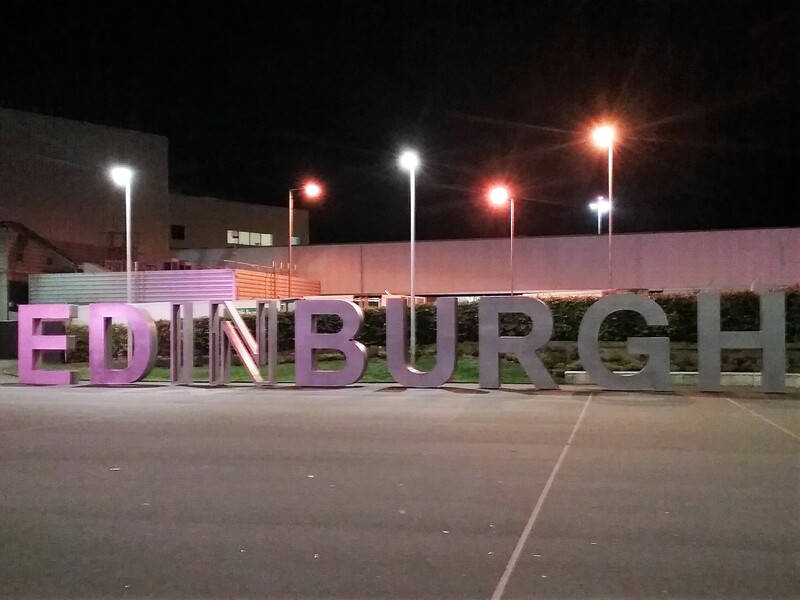 One of the first things we noticed at the Edinburgh airport as we traveled along the terminal to our rental car was the smell. There definitely seemed to be a strong odor of…livestock around us. 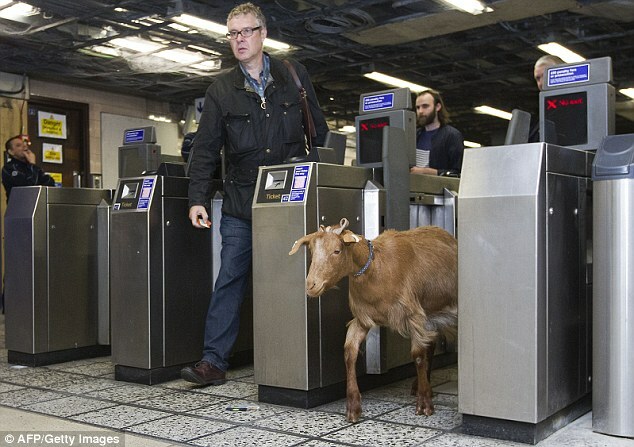 I knew that herders tended to let their flocks of sheep wander around in Ireland, but here? At an airport? After a bit of internet research, Tim and I discovered that the odor came from emissions produced by local breweries (https://www.edinburghnews.scotsman.com/news/edinburgh-world-s-smelliest-city-says-thrillist-1-3146868). Fortunately, once we left the vicinity of the airport, the smell went away as well. After a late dinner, we made our way to our reserved hotel room in Perth. We had considered reserving an Airbnb home for that evening, but thought that it was too last minute.